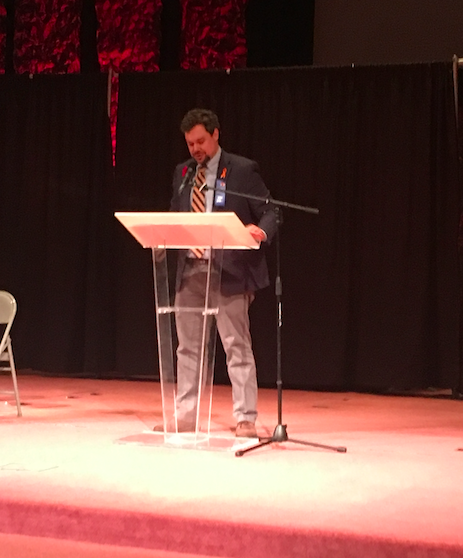 It was a great weekend for Hathaway Brown’s Speech & Debate program, as Jason Habig, HB's Middle School history department chair and director of summer programs, was inducted into the Ohio High School Speech & Debate Association Hall of Fame. Jason coaches HB's Upper School Speech & Debate team, which he established at HB in 2005 and now includes more than 60 students in grades 9-12. Prior to joining HB, he coached the team at Saint Ignatius High School. Jason was a policy debater himself at Saint Ignatius and Case Western Reserve University, and he began coaching at SIHS when he was a freshman in college until he joined the faculty at HB. 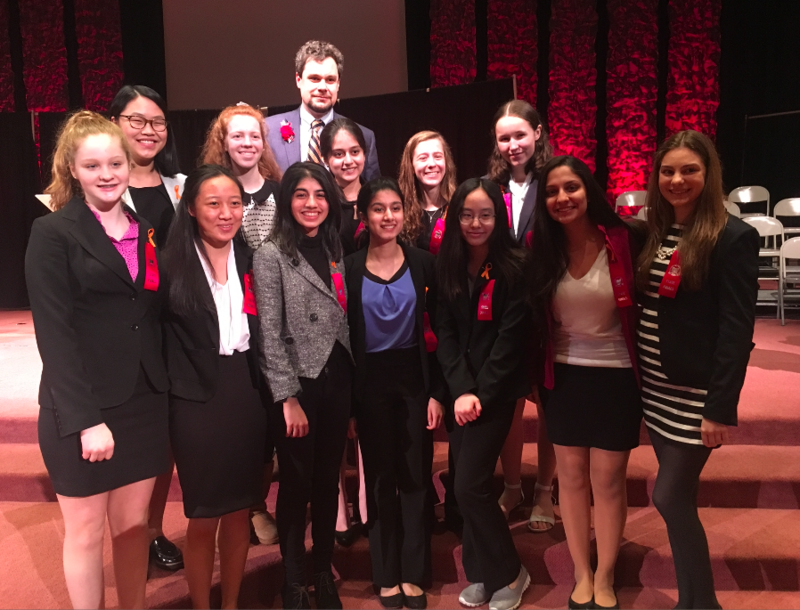 With a regular season that includes one- or two-day tournaments each weekend from October through January, state and national tournaments in February and March, and after-school practices for 13 different events, supervising Speech & Debate is quite a commitment. In his two decades of active participation in this honor society, Jason has amassed numerous impressive achievements, but he’s most lauded for his unwavering commitment to students and their development as confident, caring, thoughtful people who are empowered to go out and make the world a better place. To commemorate the occasion, the senior members of the 2017-2018 HB Speech & Debate team compiled a special video of their own, including well wishes from several school alumnae and others who wanted to express their gratitude to Jason for the effect he’s had on their life trajectories. You can watch that moving tribute here. Congratulations to all of these students, and to Jason for his outstanding Speech & Debate career. We are confident that his work will continue to make a powerful impact for many, many years to come.